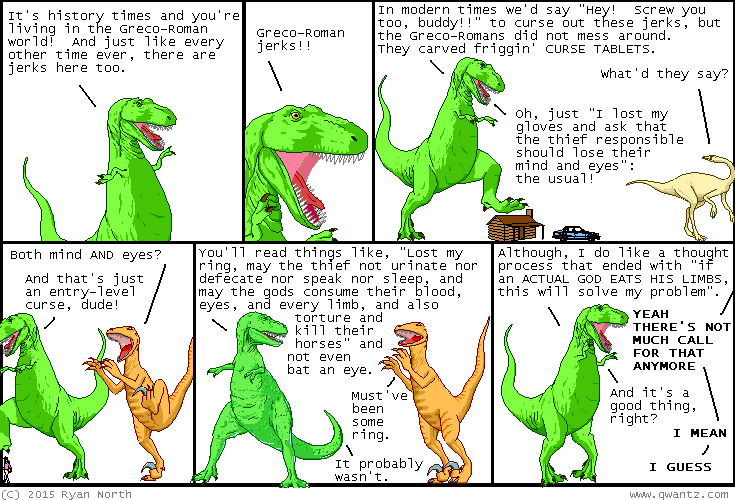 Dinosaur Comics - August 17th, 2015 - awesome fun times! –You could change the present by altering the past! August 17th, 2015: Here is a comic I wrote about... HISTORY? ?